We’ve all heard some version of that saying — “the only thing we can count on happening in life is change.” I started Baby Sleep Trainer because I was shocked that I wasn’t able to compel my newborn to sleep “better,” and I spent all my time and energy in the first few months of my daughter’s life trying to figure out how to “solve” her sleep problems and how to “not create bad habits.” My expectations about her sleep were largely set by a book I had read during pregnancy (which I will not name) that truly made my type-A brain believe that if I simply did A and B, then C (good sleep, 12 hours at night, no short naps) would happen. If C didn’t happen, it’s because I was not doing A or B right. I had to crack the code on what I was doing wrong, and then the elusive longer naps, or the “spontaneous dropping of nighttime wakings” would occur. I was nearly manic in the treatment of my child’s sleep and it was a very, very dark time in my life. I likely had undiagnosed postpartum anxiety or depression issues that contributed to my unhealthy obsession with addressing my child’s sleep problems, but I also believe that if I’d never been introduced to the unnamed book, I also wouldn’t have had such outrageously incorrect expectations for her sleep. I say they were outrageously incorrect because when my second child came around (who has a totally different temperament than his sister) — he was completely successful using the same sleep training method I attempted on her. It’s not that I got better at implementing sleep training, it’s that my son was the world’s most easygoing, laid back baby. I counted once 12 straight days of, I kid you not, not a single episode of crying. He was *so* happy, chill, and calm. He slept easily through the night, took long naps, and was generally the easiest child I have ever encountered (and I have worked with over 2,000 families). I tell you this lengthy story because as much as I harp on my clients to be consistent, I also try to compel them to understand that their best really is good enough. If there is one thing I could convince other mothers of, it’s that they cannot prevent their child from needing to be sleep trained at some point in their infancy or toddlerhood. 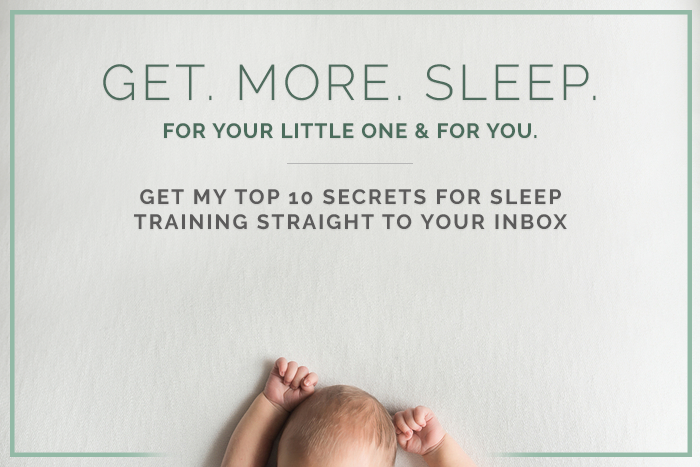 Some kids, like my son, are sleep trained very, very easily – almost imperceptibly, but most kiddos require some work and effort to learn to fall asleep on their own. Whether it’s a sleep issue in the newborn weeks or short naps or night waking or whatever the issue may be, it’s NORMAL for kids to sleep well, then sleep poorly, then sleep better again. The constant in the first years of a child’s life is change. Especially when it comes to their sleep. Sleep may remain consistent for only a few months at a time before something (travel, illness, etc) causes them to have a poor night of sleep or a skipped nap. 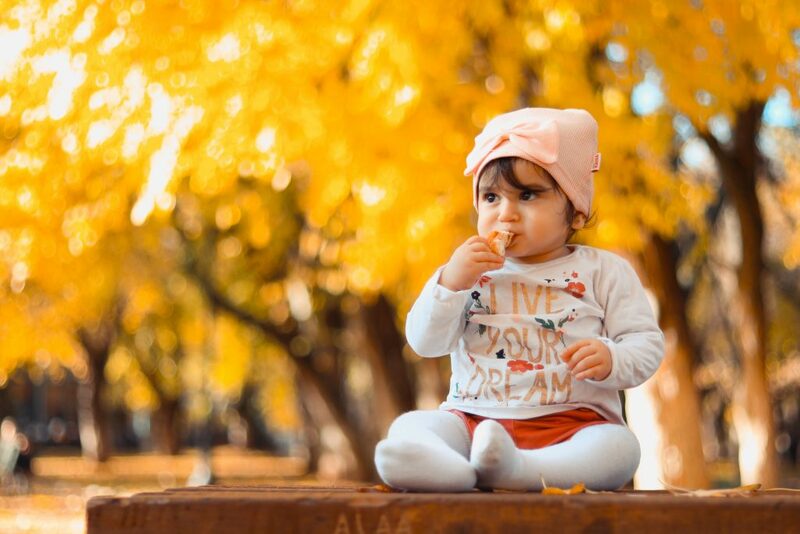 Clients of mine, and others who have undertaken a formal sleep training program, often ask if sleep training isn’t working since their child occasionally still has sleep disruptions. I ask those parents to think of how often they had a random night of “off” sleep before they had kids. Most people find that they can have an off night of sleep every 3-4 weeks, and that’s about as often as many infants and toddlers have an issue with a nap or a night of sleep. The fact that a child doesn’t always sleep silently through the night is not the issue for concern. What families need to understand is that while you want to treat or address whatever is disrupting your child’s sleep, you never want to begin assisting them to sleep again (unless your doctor advises you otherwise). It’s the helping your child to sleep that can nearly instantly unravel your child’s desire to fall asleep on their own. Sleep training only stops working once parents start to help their kids to fall asleep again, usually in response to a normal disruption in sleep. Had parents allowed their child to fall back to sleep on their own, that kiddo would likely go right back to normal sleep within just a few days. Of course, sometimes deeper exploration is necessary if a child consistently has issues either napping or sleeping well overnight. It’s possible a transition from 3 naps to 2, or 2 naps to 1, is needed. Or perhaps the child’s bedroom environment could use some help. Assessing and addressing the sleep issue is a good thing – but helping your child fall back to sleep when they’re struggling is what parents will want to avoid at all costs. Please remember that your expectations for your child’s sleep is what will determine how happy and satisfied you feel overall with their sleep training. Bumps along the way are normal and are not indicative that sleep training has not been successful. Oh, wow. I could have written your first paragraph. I am dealing with baby #2 right now and he’s not a textbook baby either. Even though my first baby did have sleep training in a sense that I taught him to fall asleep on his own from an early age, I waited for him to drop night feedings on his own (but I limited him to just one for a while). Now I cannot seem to teach my 4 month old to fall asleep on his own. We are at a point where his naps are consistent but consistently short unless I extend them. It is so frustrating! I know I need to sleep train but keep putting it off.